Linked course numbers go to course web sites. Bold links are for current courses. Headings jump down on this page. 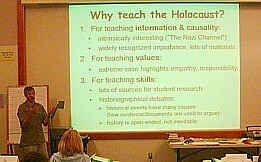 GE 1 EW, "The Nazi Holocaust in History, Literature, and Film." This 4-unit Freshman Seminar was part of a pilot offering in UCSB's General Education program, which was cancelled for lack of resources. (see my Int 94AX description, below). Hist 2C, "World History, 1700CE-present." Catalog description: "Survey of the peoples, cultures, and social, economic, and political systems that have characterized the world's major civilizations in Europe, Asia, Africa, the Americas, and Oceania." Many students use this course to fulfill the General Education Area E/E1 "Civilizations and Thought" requirement. The History 2 series is also one of three lower division survey series from which all history majors must complete two (the others are Hist 4: Western Civilization, and Hist 17: US History). 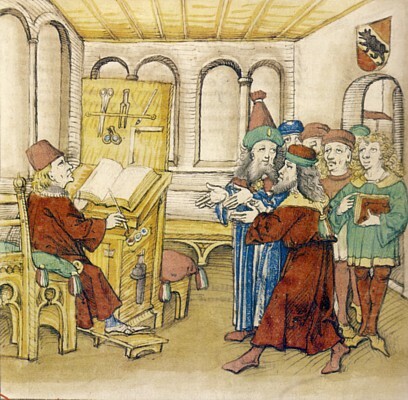 Hist 2c is also taught by Professors Bergstrom, Edgar, and Spickard. I taught this course for the first time in Spring 2003, after having taught 4c (see next item) for many years. This is part of one of the other history survey series courses, two of which are required of all history majors. It can also be used to fulfill the general education Area E1 requirement. I taught this course for the last time in 2000. Now I teach Hist 2c, World History. 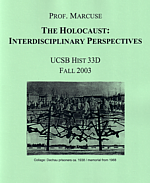 Hist 33D, "Interdisciplinary Perspectives on the Holocaust." An entry-level (no prerequisites) course I developed in Fall 2002 for students from all disciplines. From the Freshman Seminar website: "UCSB has created an exciting new educational opportunity for members of the freshman class -- freshman seminars. These small group seminars, with a maximum of twenty students, will be taught by faculty who have volunteered their time and effort because they want to meet and teach students who are early in their UCSB careers. Facilitating student-faculty contact is one of the major goals of the freshman seminar." This course surveys the history of the German states from the French Revolution through the stages of industrialization and national unification to the eve of World War I. This course examines German history from the beginning of the 20th century to World War II. Topics include: Germany's role in the First World War, the German Revolution of 1918-19, the Weimar Republic, and the National-Socialist state with its aims in World War II and the Holocaust. I haven't taught this course since I began teaching 133D in 1996. It differs from 133D in that its emphasis is on German history, not Holocaust history, and it spends much more time on the early decades of the 20th century. 1995 133b syllabus, 2009 course website. 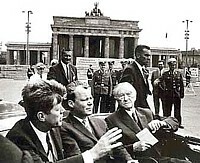 After examining developments during the last years of World War II, this course traces the histories of East and West Germany from 1945 to unification in 1990. "The Nazi campaign of racial purification through eugenics and mass murder can be considered one of the watershed events of Western civilization. 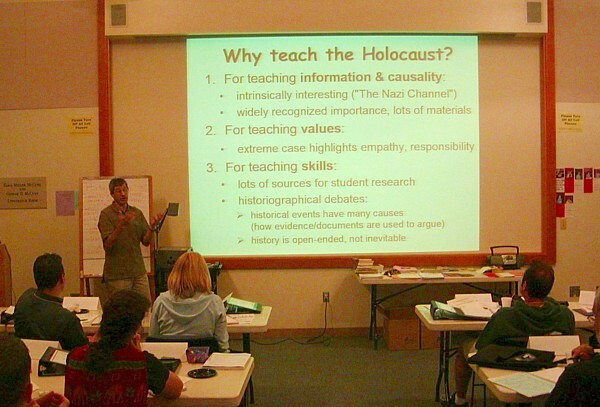 This course examines the historical, social, political and economic factors which combined to result in the Holocaust, as well as some of its consequences for German and world history." I haven't taught this course since I began developing 33d in 2003. I will probably teach it again in 2006-07. In this undergraduate seminar students learn research and writing skills and use them to explore topics in 20th century German history. 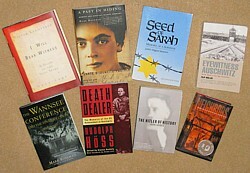 on a specific subtheme, such as memoirs, concentration camps, education, or film. 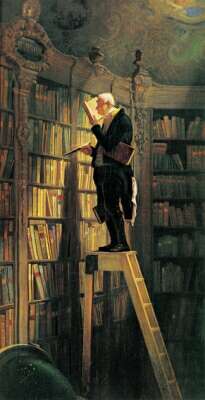 While reading up to one book per week, students write a 10-20 page review of the literature on a selected topic." Comp Lit 186EE, "Holocausts over Time: Modern Genocides in History, Literature and Art"
This was a hybrid lecture-seminar style course. It helped me to prepare the interdisciplinary Hist 33d course I began teaching in 2002 (Hist 33d description, above). This three-quarter course is the capstone of the history department's honors program. Honors candidates work closely with an individual faculty mentor on a chosen topic, while meeting regularly with their peers and a seminar director to discuss issues of research, interpretation and writing, and to critique each other's work. This course is taught be various professors. I taught it in 1996-97, 1997-98, and Fall 1998-99. In 2005-06 it was shortened to a 2-quarter course. Students work on various aspects of my UCSB Holocaust Oral History Project website (www.history.ucsb.edu/projects/holocaust), including bibliographic work, interviewing and transcribing, timeline completion, web site construction, and filmmaking. Details can be found on Faculty Research Assistance Program website (see the linked directory for my entry [12/04: directory link broken]). Since I haven't yet had enough students specializing in German history, I've offered this content in conjunction with a 200e, and as an independent reading course only. "A two-quarter (20 week) research seminar for graduate students interested in aspects of nineteenth and twentieth century German history. Students will learn and apply researching techniques, as well as writing, editing and presentation skills." BONUS FOR GRADUATE STUDENTS WHO MADE IT DOWN HERE! UCSB offers two courses to prepare advanced graduate students for the job market and future teaching: Hist 209A-B, The Academic Profession of History. "This course provides students with the practical knowledge needed for obtaining an academic position, develops skills for effective teaching, and prepares students to deal with funding agencies, publishers, employers, and professional organizations."